Model Sanea Sheikh, founder and florist at her maiden venture, Botany Florals, makes rustic flower arrangements in the form of floral boxes, flower crates, and even handcrafted bouquets to cater to the needs and wants of well-wishers across the city. Instead of your usual collection of flowers like roses, carnations, lilies and the likes, you’ll find wild flower arrangements in extraordinary patterns that’ll surprise you. Reminding you of summers in the British countryside, with honeysuckles and periwinkles from tales of old, this service has certainly held its ground for being unique in the city. Apart from this, you will not find any use of plastic in her creations – brown paper bouquets or just crates of wildflowers that add their own charm to your living space. To place your order, you can send her a message on Instagram or call her on: +91-9082880154. A basic bouquet will cost you INR 3,000. 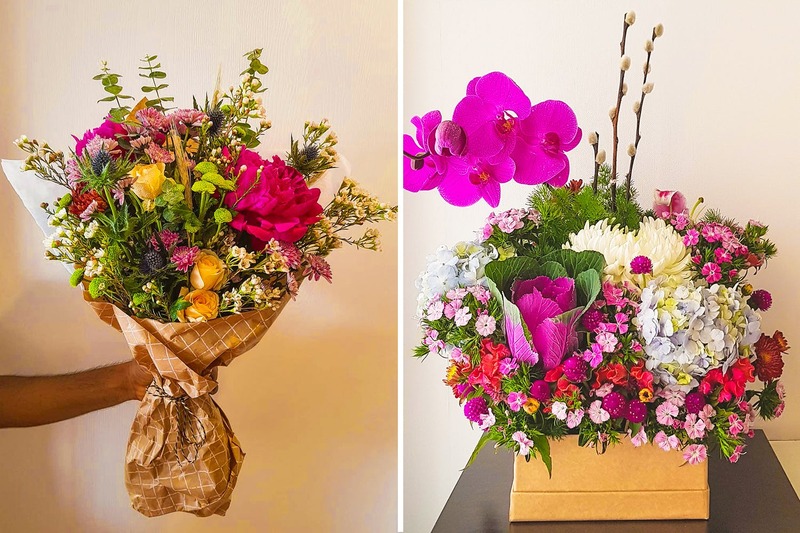 Currently a one-woman army, she plans to expand with monthly subscriptions, where you can get your flowers of choice home-delivered or even at offices and restaurants.